Home » All Posts » Starting 2014 Off Right! Here we are, just a few days into 2014 and we have an exciting but very simple innovation! 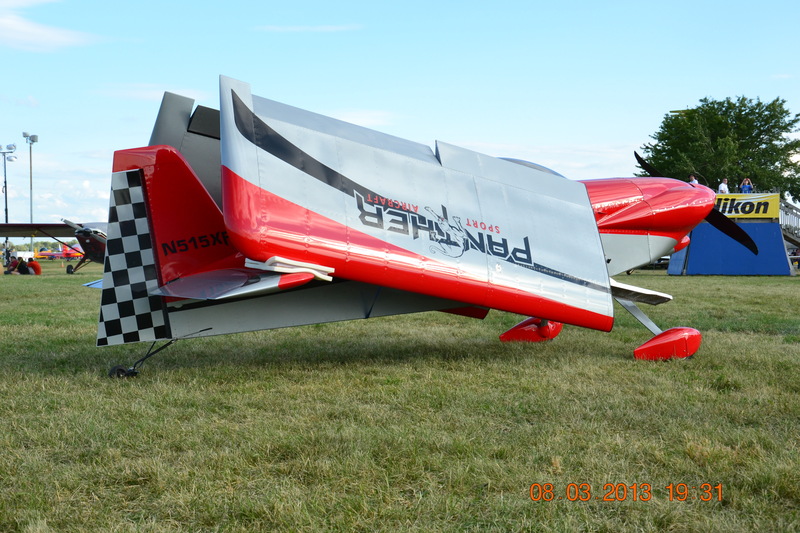 As you know – the Panther is designed with folding wings. 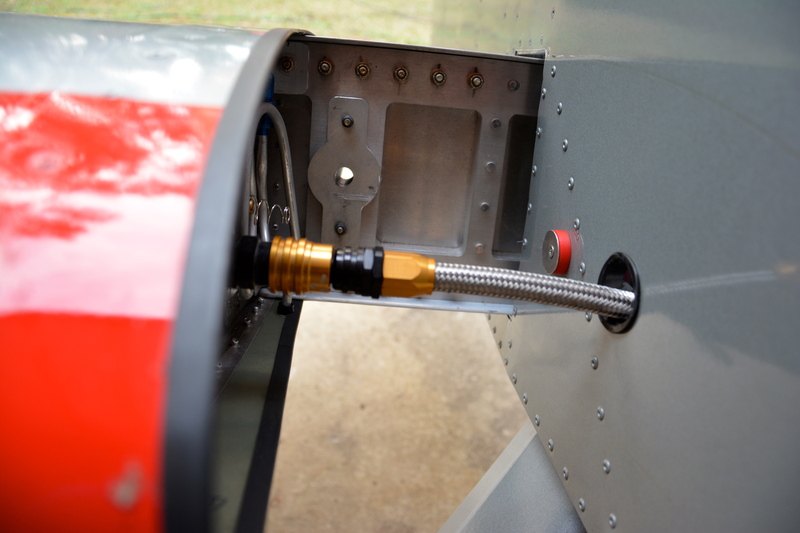 Dan designed the fuel tanks to incorporate these really snazzy fuel quick-disconnect fittings that work very well. You simply pull the wings out a foot or so, rest them on the spar box and disconnect the fittings. Then you pull the wings out along the slider tube and rotate leading edge down, then walk the wing tip back and rest it on the horizontal stab. Very simple and fast! The other thing you have to disconnect when folding the wings is the little fuel sender wire that tells your avionics how much fuel you have in the tank. After many folds and unfolds the connector was getting loose and we had to keep tightening it. (At Oshkosh we folded the wings twice a day as a demo, and at night to go in the trailer if the weather was questionable). So, Dan and Paul put their brains to work and came up with something really cool, and really simple to solve the problem. And what is even more impressive is a similar solution can be used for lights and navigation systems for builders wanting to implement them. So – you ready to hear this? I know I sound like a child with a secret to tell, but I really think you all will find this just as genius as I do. Not because it is complicated, but because it is so simple and the tool used to make part of it is so impressive. 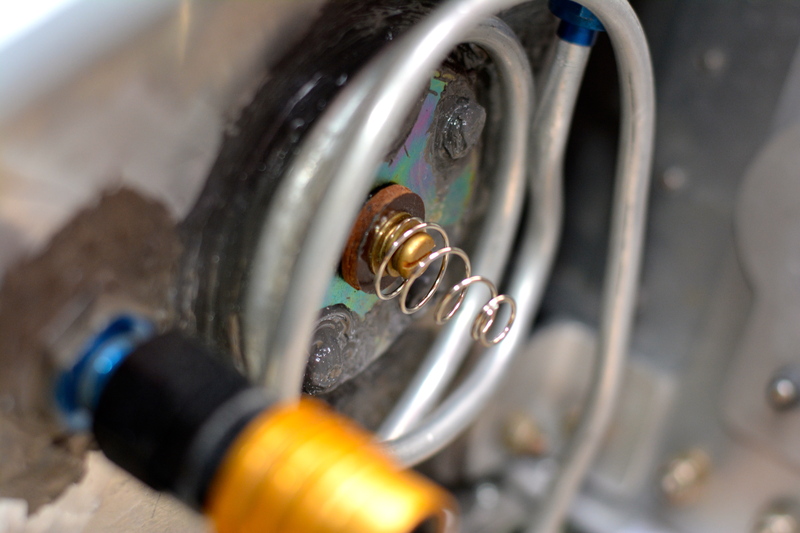 Dan and Paul came up with the plan to connect a spring to the existing screw on the fuel tank sending unit. Then, on the fuselage they installed a custom designed plastic isolator they printed on Paul’s 3D printer and an aluminum plate fixed with a standard screw and nut. 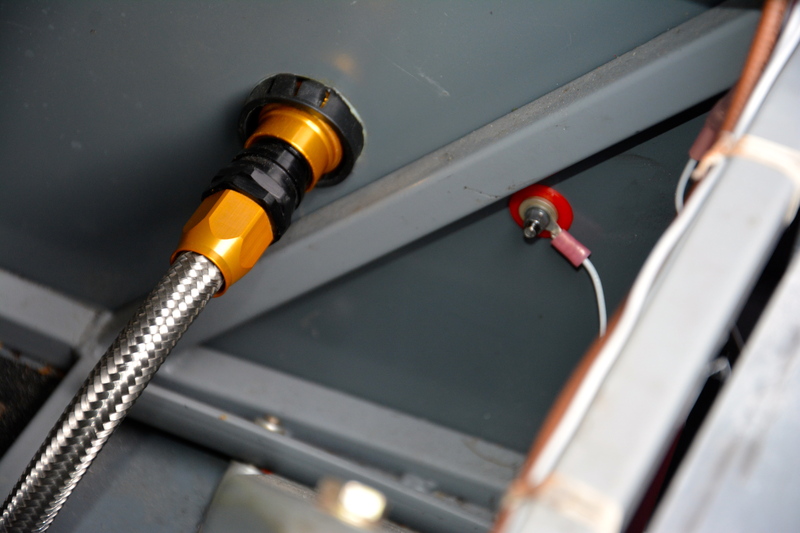 This screw and nut also connect the fuel sending wire from our GRT unit to the aluminum plate. 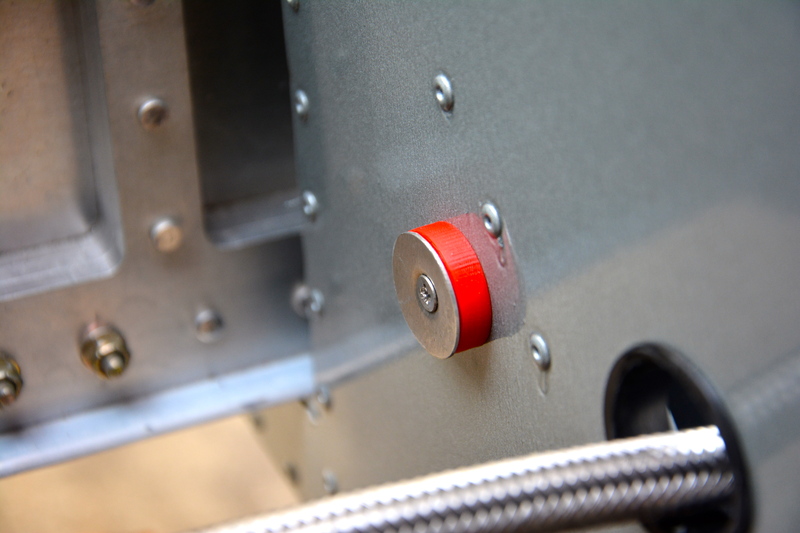 The isolator/aluminum plate on the fuselage side is lined up with the spring on the fuel sender. ……So when you slide the wing into place the spring makes contact with the aluminum plate and completes the circuit! And that, my friends, is how an automatic fuel sender connection is done! Necessity is the mother of invention. Mother. Since day one the Panther has been all about innovation. I see it every time I get my hands on new parts. Keep it up! Very simple and clean. Nicely done. ← Merry Christmas and Happy New Year from SPA!